Get personalised items for back-to-school during this 5 day Monster Sale. Get personal! Label your kid's stuff so it doesn't get lost! 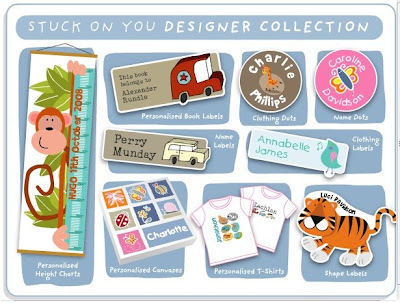 There's also pencilcases, book labels, height charts, T-shirts, and decorative canvases - all can personalised with your child's name. You can view the sale information at http://www.stuckonyou.biz/enews/canada/can_01aug10.html. Shop these deals at www.StuckOnYou.biz! Sale ends at midnight August 10, 2010. 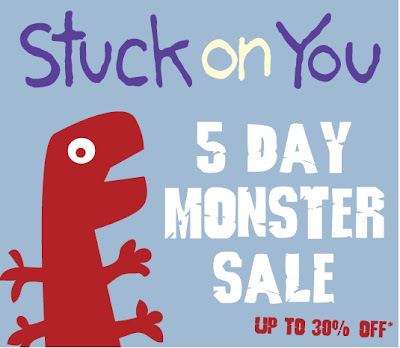 0 Response to "Stuck On You: Up to 30% Off Personalised Labels, Bags, and more"